^ Datar, Arvind P. (2013-11-18). "Who betrayed Sardar Patel?". The Hindu. Baroda and Gujarat States Agency was a political agency of British India, managing the relations of the British government of the Bombay Presidency with a collection of princely states. The political agent, who was Collector of the British District of the Panchmahal, on November 5,1944 the Baroda and Gujarat States Agency was merged with the Western India States Agency to form a larger Baroda, Western India and Gujarat States Agency. 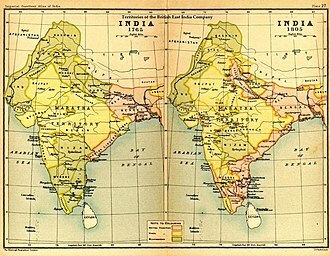 At Indian Independence, this would merge into Bombay State, ending up at its split in present Gujarat, the process of the attachment scheme began from 1940 onwards in order to integrate the smallest princely states and thanas. Baroda State was one of the beneficiaries of this measure by being able to add about 15,000 km². 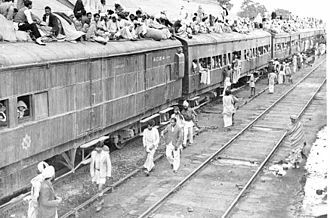 These were followed on 10 July 1943 by the states of Ambliara, Ilol, Khadal, Punadra, Wasoda, on 24 July 1943 Sachodar State and a few small places that had no own jurisdiction were annexed. Finally, by December the small states of Bajana, Malpur, the number of separate states was above 80, but most were minor or petty states. 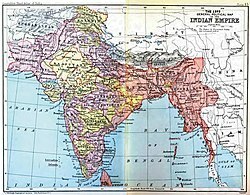 French India, formally the Établissements français dans lInde, was a French colony comprising geographically separate enclaves on the Indian subcontinent. The possessions were acquired by the French East India Company beginning in the second half of the 17th century. The French establishments included Pondichéry, Karikal and Yanaon on the Coromandel Coast, Mahé on the Malabar Coast and Chandernagor in Bengal. French India included several loges in other towns, but after 1816, the loges had little commercial importance, by 1950, the total area measured 510 km2, of which 293 km2 belonged to the territory of Pondichéry. In 1936, the population of the colony totalled 298,851 inhabitants, France was the last of the major European maritime powers of the 17th century to enter the East India trade. Historians have sought to explain Frances late entrance in the East India trade, in 1604 a company was granted letters patent by King Henry IV, but the project failed. Fresh letters patent were issued in 1615, and two went to India, only one returning. 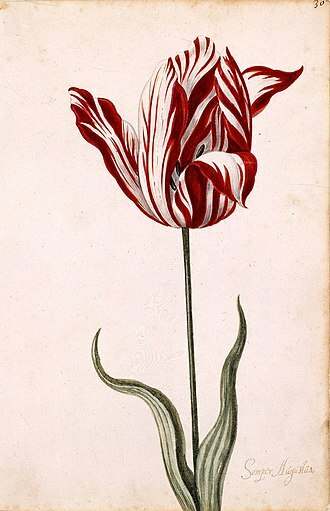 From 1658, François Bernier, a French physician and traveller, was for years the personal physician at the court of the Mughal emperor Aurangzeb. 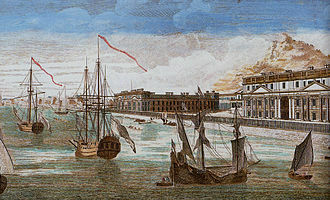 La Compagnie française des Indes orientales was formed under the auspices of Cardinal Richelieu and reconstructed under Jean-Baptiste Colbert, in 1667 the French India Company sent out another expedition, under the command of François Caron, which reached Surat in 1668 and established the first French factory in India. 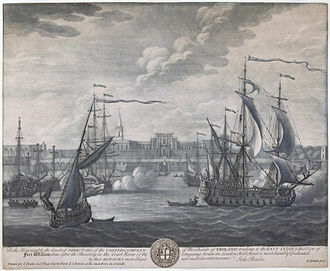 In 1669, Marcara succeeded in establishing another French factory at Masulipatam, in 1672, Saint Thomas was taken but the French were driven out by the Dutch. Chandernagore was established in 1692, with the permission of Nawab Shaista Khan, in 1673, the French acquired the area of Pondicherry from the qiladar of Valikondapuram under the Sultan of Bijapur, and thus the foundation of Pondichéry was laid. 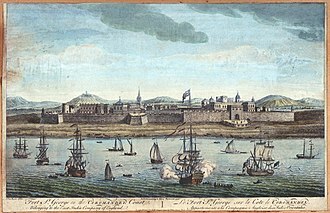 By 1720, the French had lost their factories at Surat, on 4 February 1673, Bellanger, a French officer, took up residence in the Danish Lodge in Pondichéry, thereby commencing the French administration of Pondichéry. The Central India Agency was a political office of the British Indian Empire, which covered the north-western half of present-day Madhya Pradesh state. The Central India Agency was made up entirely of princely states, Lalitpur District, part of the United Provinces, split the Central India Agency into eastern and western portions. The Central India Agency was created in 1854, by amalgamating the Western Malwa Agency with other political offices which formerly reported to the Governor-General of India. The agency was overseen by an agent who maintained British relations with the princely states. 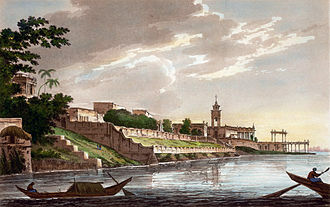 The headquarters of the agent were at Indore, British control of Bundelkhand expanded at the conclusion of the Second Anglo-Maratha War in 1805. In 1921 Gwalior Residency was separated from the Central India Agency, the princely states in the area of the Agency,148 in all, varied in status and greatly in size. The 31 sanad states had direct relations with the British Government and these states, in Bundelkhand and Bagelkhand, were granted deeds confirming rulers in possession of their states, in return for the rulers signing a written bond of allegiance to the British. The remaining smaller states and estates were known as mediatized or guaranteed states, mediatized states were under the authority of a larger state, with the relationship between the states arranged through British mediation. The princely states were closely related to one of political officers. Upon the British withdrawal from India in 1947, the political offices consisted of Indore Residency, Bundelkhand Agency was bounded by Bagelkhand to the east, the United Provinces to the north, Lalitpur District to the west, and the Central Provinces to the south. Bagelkhand Agency was separated from Bundelkhand in 1871, in 1900 it included 9 states, the most important of which were Orchha, Samthar, Chhatarpur, Datia and Ajaigarh. The agency included 13 estates and the pargana of Alampur, in 1931, all of the states under the Baghelkhand Agency apart from Rewa were transferred back to Bundelkhand. Gwalior Residency was placed under the Central India Agency in 1854, in 1925, the Malwa Agency was amalgamated with Bhopawar Agency. 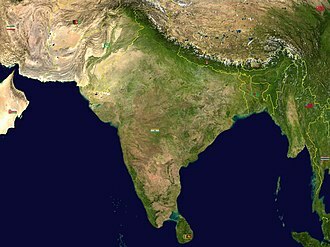 Dutch India consisted of the settlements and trading posts of the Dutch East India Company on the Indian subcontinent. It is only used as a definition, as there has never been a political authority ruling all Dutch India. 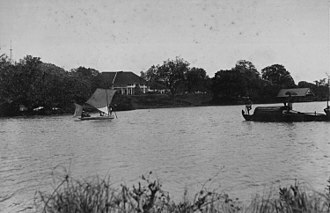 Instead, Dutch India was divided into the governorates Dutch Ceylon and Dutch Coromandel, the commandment Dutch Malabar, the Dutch Indies, on the other hand, were the Dutch East Indies and the Dutch West Indies. 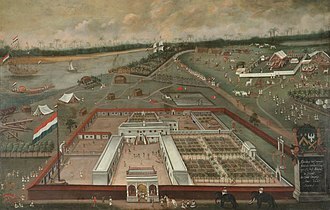 Dutch presence on the Indian subcontinent lasted from 1605 to 1825, Dutch Suratte and Dutch Bengal were established in 1616 and 1627 respectively. 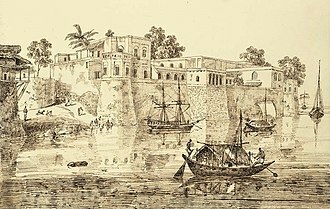 After the Dutch conquered Ceylon from the Portuguese in 1656, they took the Portuguese forts on the Malabar coast five years as well, to secure Ceylon from Portuguese invasion. Apart from textiles, the items traded in Dutch India include precious stones and silk across the Indian Peninsula and opium in Dutch Bengal, Indian slaves were imported on the Spice Islands and in the Cape Colony. In the second half of the century the Dutch lost their influence more and more. The Residencies of British India were political offices, each managed by a Resident, which dealt with the relations between British India and a large number of princely states. Through this system, the Indian Princes of these Native States were assured of protection from internal and external aggression, in return they had to pay for the maintenance of those troops and accept a British Resident in their court. The Resident was a senior British official posted in the capital of these Princely States, technically a diplomat and this was seen as a system of indirect rule that was carefully controlled by the British Resident. The Residents attempted to modernize these Native States through promotion of European notions of progressive government, the first Native States to enter such subsidiary alliances included Arcot and Hyderabad. 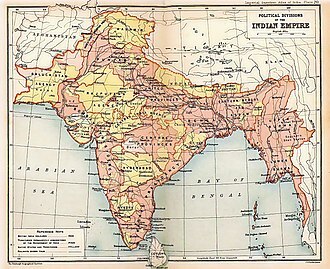 An area over two-fifths of the Indian subcontinent was administered by native princes, the Resident was a permanent reminder of the subsidiary relationship between the indigenous ruler and the European power. A salute state was a princely state under the British Raj during the time of British rule which had been granted a gun salute by the British Crown, i. e. The gun-salute system of recognition was first instituted during the time of the East India Company in the late 18th century, as with the other princely states, the salute states varied greatly in size and importance. For varying periods of time, a number of states in South Asia, as with the Indian principalities, those states received varying numbers of gun salutes and varied tremendously in terms of autonomy. 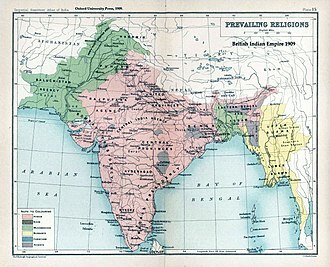 Following their independence in 1947, the new Indian and Pakistani governments maintained the system until 1971 and 1972. When the ruler of a princely state arrived at the Indian capital, the number of these consecutive gun salutes changed from time to time, being increased or reduced depending on the degree of honour which the British chose to accord to a given ruler. The King of the United Kingdom was accorded a 101-gun salute, the number of guns in a salute assumed particular importance at the time of holding of the Coronation Durbar in Delhi in the month of December 1911. The Durbar was held to commemorate the Coronation of King George V with guns firing almost all day, at that time there were three Princely States that were given 21 gun salutes. 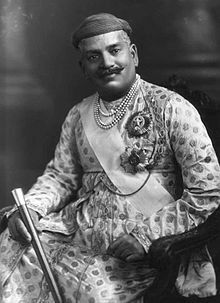 The Maharaja Gaekwad of Baroda State H. H, the Maharaja of Mysore In 1917, HH The Maharaja Scindia of Gwalior was upgraded to a permanent and hereditary 21-gun salute, and the Maharaja of Jammu and Kashmir was granted the same in 1921. Both were granted the ranks as a result of the meritorious services of their soldiers in the First World War. Apart from these, no other Princely State received a 21-gun salute, three of the most prominent princes, enjoyed a local salute of 21 guns within the limits of their own state and 19 guns in the rest of India. 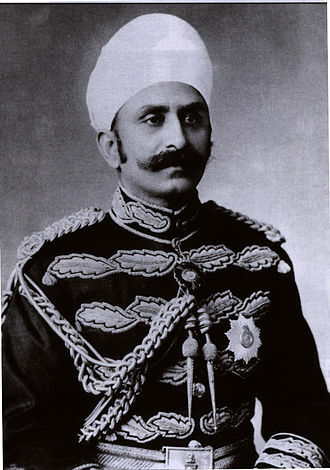 They were the Nawab of Bhopal, the Maharaja Holkar of Indore, the Nizam, Princes, etc. were all deeply keen on protocol and ensured that it was practised as a matter of faith. Any departure from it was not taken kindly by them, salute of guns was one such protocol that was strictly adhered to. Jaipur State was a princely state of India from 1128 to 1948. It was centred on Jaipur town and it existed from the 12th century until Indian Independence in 1947. According to the different periods of history it was known as Jaipur Kingdom, Amber Kingdom, Dhundhar Kingdom. Jaipur state was founded in the Dhundhar region and its predecessor state was the Dhundhar kingdom, founded in 1093 by Duleh Rai, known as Dulha Rao. Jaipur state was known as Amber between the fourteenth century and 1727, in that year, a new capital was built and named Jayapura, the kingdom was renamed Jaipur. The modern-day Kushwaha community, of which the Kachwaha form a part, generally claim descent from Kusha and this enables their claim to be of the Suryavansh dynasty but it is a myth of origin developed in the twentieth century. 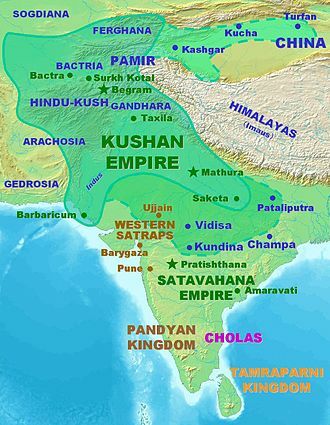 Kacchi and Murao can be asserted as those castes who have been degraded from Kshtriya status, in 1561, the chief at Amber, Bharamail Kachwaha, sought support from Akbar, the Mughal emperor. He was formally recognised as a Raja and was invested into the Mughal nobility in return for him giving his daughter to Akbars harem. A governor was appointed to oversee Bharamails territory and a tribute arrangement saw Bharamail given a salaried rank, the ruling dynasty of Amber provided the Mughal Empire with some distinguished generals. Among them were Bhagwant Das, Man Singh I, who fought and governed from Kabul to Orissa and Assam, Jai Singh was succeeded by Ramsingh I, Bishan Singh and Jai Singh II. Jai Singh II, known as Sawai Jai Singh, ruled the state from 1699 to 1743 was a mathematician and astronomer. Throughout the disintegration of the Mughal Empire, the armies of Jaipur were in a constant state of warfare, towards the end of the 18th century, the Jats of Bharatpur and the chief of Alwar declared themselves independent from Jaipur and each annexed the eastern portion of Jaipurs territory. This period of Jaipurs history is characterised by internal power-struggles and constant military conflicts with the Marathas, other Rajput states, as well as the British and the Pindaris. Indirect rule is a system of government used by the British and French to control parts of their colonial empires, particularly in Africa and Asia, through pre-existing local power structures. These dependencies were often called protectorates or trucial states, some British colonies were ruled directly by the Colonial Office in London, while others were ruled indirectly through local rulers who are supervised behind the scenes by British advisors. In 1890 Zanzibar became a protectorate of Britain, prime minister Salisbury explained his position, The condition of a protected dependency is more acceptable to the half civilized races, and more suitable for them than direct dominion. It is cheaper, less wounding to their self-esteem, gives them more career as public officials, the Princely States of India were ruled indirectly. So too was much of the West African holdings, the areas thus brought into the British sphere of influence became known as the Indian Princely States. 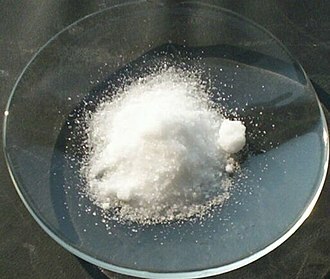 Subsequently, the principle was applied in strategic regions on the sea routes to India. Indirect rule was effective in enabling the British to exploit natural resources. The establishment of naval and military bases in strategic points around the globe maintained the power to underpin such control. Indirect rule was cheaper and easier for the European powers, and in particular it required fewer administrators and this was the case in Kenya and Southern Nigeria, and the new leaders, often called warrant chiefs, were not always supported by the local population. The European ruling classes often chose local leaders with similar traits to their own, many were conservative elders, and thus indirect rule fostered a conservative outlook among the indigenous population and marginalised the young intelligentsia. Furthermore, leaders empowered by the governments of European powers were not familiar with their new tasks, such as recruitment. Colonial Assimilation argued that French law and citizenship was based on universal values that came from the French Revolution, mirroring French domestic citizenship law, French colonial law allowed for anyone who could prove themselves culturally French to become equal French citizens. View of the Agency House in Dhar State, one of the former centres southwest. Lalitpur District, part of the United Provinces, split the Central India Agency into eastern and western portions. Fort Dansborg at Tranquebar was established in 1620.